I strongly suggest you grab your iPhone and download an app that permits you to kick-start a travel fund, perhaps in lieu of a college fund. Consider this sage advice from a slightly insane, nearly 60-year-old elder who is rebounding from the most magical family experience — a family safari to Tanzania. Our family of six, ranging from “baby” Maya (14) to birthday dad Bobby (60) spent two screen-free weeks in the wild, learning, observing and falling in love with the magical Serengeti. We were mesmerized daily by circle-of-life sightings of cheetah, lion, rhino, elephant and thousands of migrating wildebeest and zebra. Christmas was labeled “baby day” with recurrent “oohs” and “aahs” while observing precious newborn hippos and baboons riding on their mothers’ backs. Yet, these dreamlike images pale in comparison to what our little pride experienced. We fell in love with each other again and in a new way. Some of our family members’ general lack of outdoors enthusiasm could have wreaked havoc on the trip’s happiness factor. To the contrary, our kids’ immeasurable wonder, incessant upbeat banter and laughter was the greatest 60th birthday gift for my husband. And yes, I think we had to go to Africa for this. Our journey is over, but in many ways, just beginning. 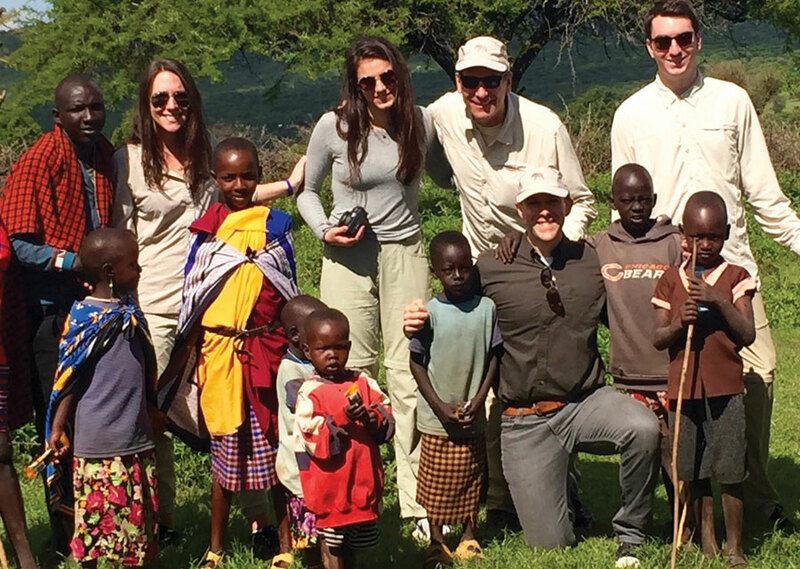 Global Family Travel founder Jennifer Spatz’s powerful purpose is to change the lives of children by building character and empathy while building bridges between people and different cultures. This was our family’s experience while touring the famous township of Soweto, caught between old squatter misery and new prosperity, and Cape Town’s District Six, where 60,000 inhabitants were forcibly removed during the 1970s by the apartheid regime. The memory most indelibly etched in our minds is sitting tightly in an unimaginably tiny, smoke-filled Masai mud hut built by a young mother, one of seven wives, who was no older than Maya, our 14-year-old. The exchange we had there, translated by our beloved guides, Moisanga and Rabin, along with the other powerful lessons acquired on our journey, could not have been taught any other way. Here at home, we delude ourselves that this economically strong bastion of supposed social justice is free of the racism so many sadly experience worldwide. The onslaught of violence and “unending stream of racially charged incidents” locally and worldwide inspired this month’s feature, investigating how our community is combating racism. Our kids don’t simply learn math, reading, coding or smartphone limits by osmosis. So how would they learn racial and social justice that way? We need to challenge ourselves and institutions and ask, “Are we propagating or disrupting racial stereotypes?” We have a moral obligation to ensure we model the behavior we expect and aspire for our kids. Big love to you and yours!